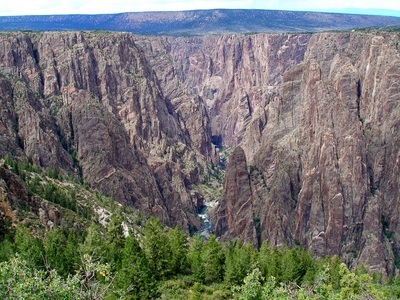 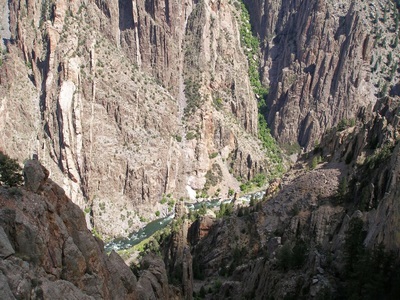 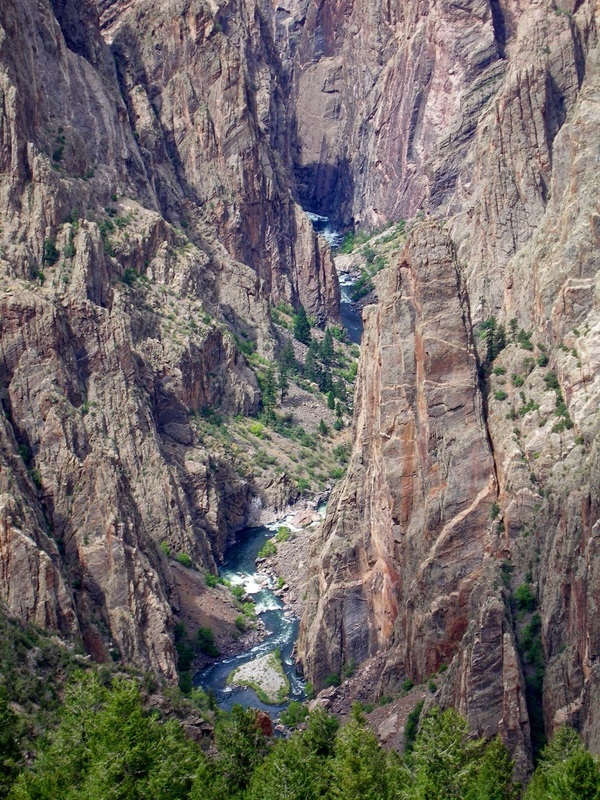 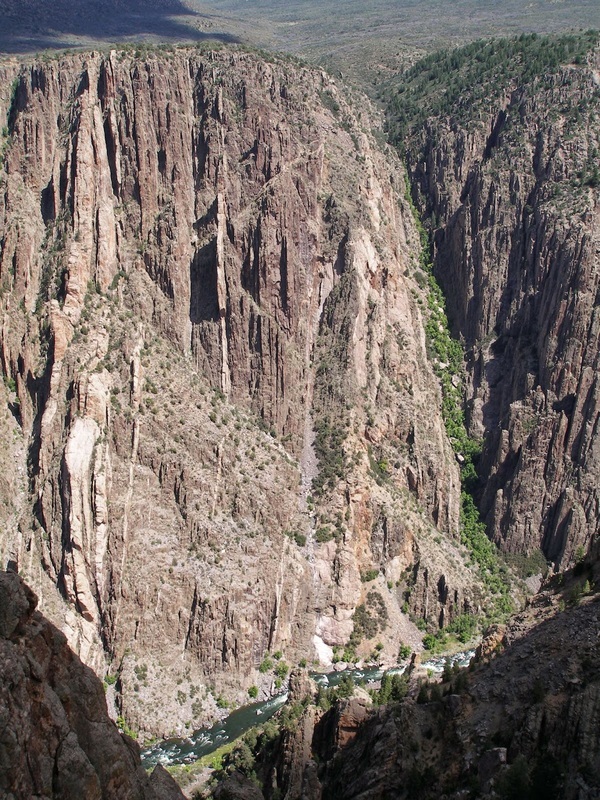 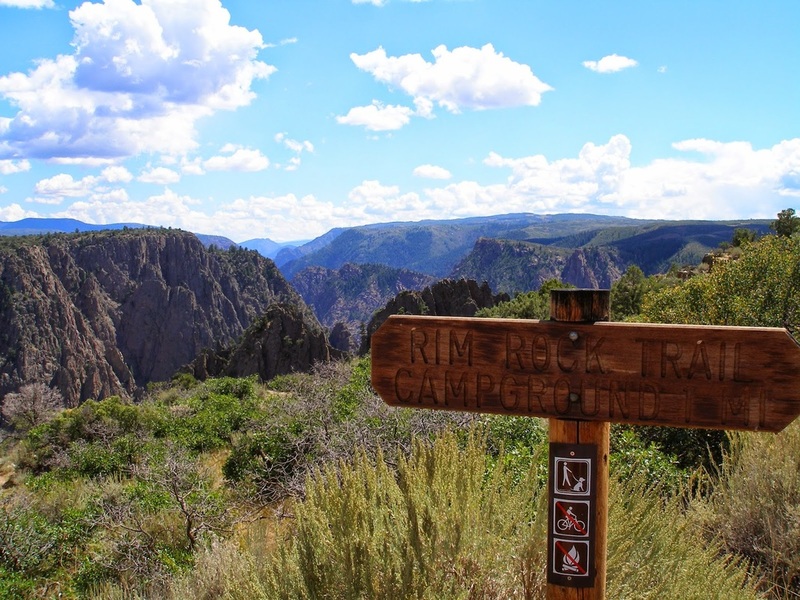 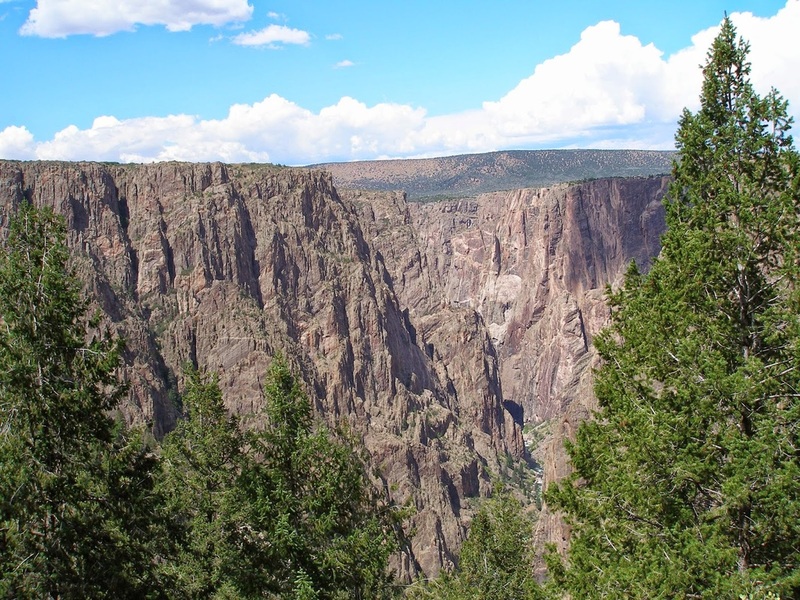 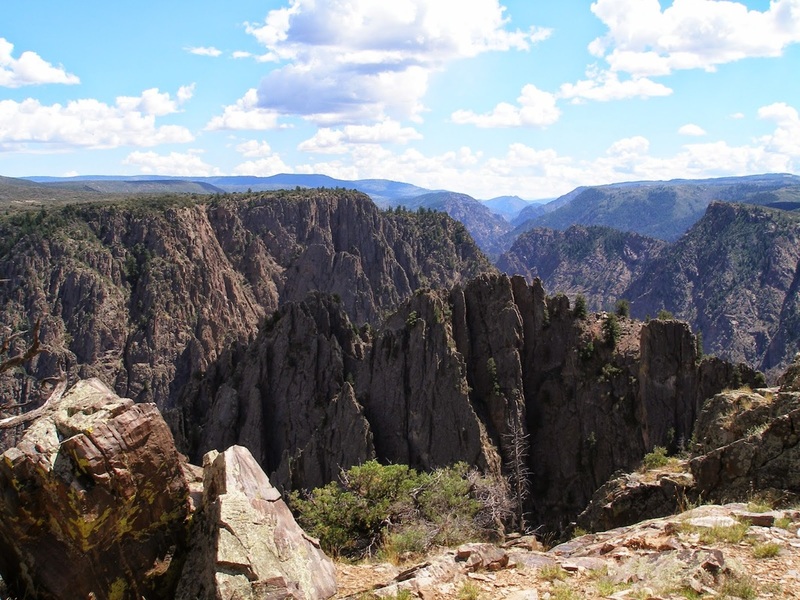 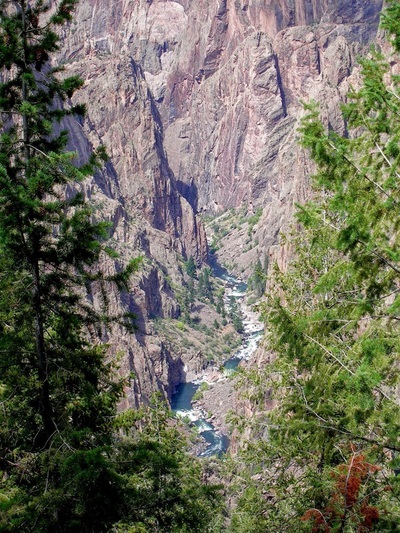 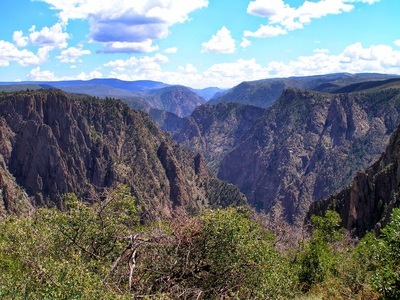 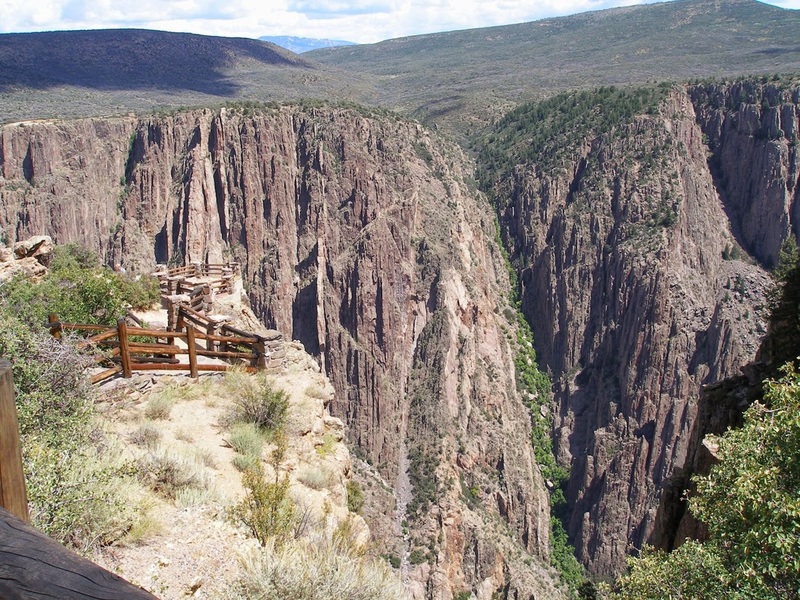 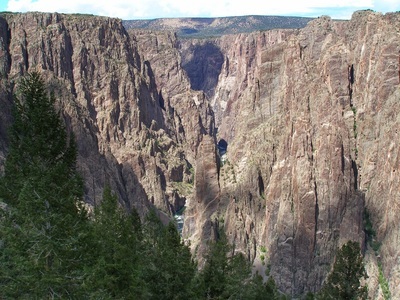 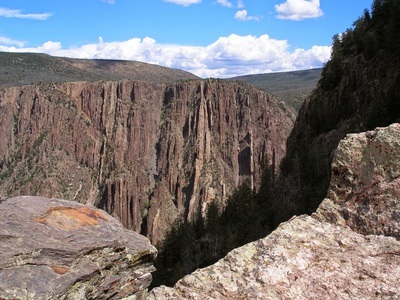 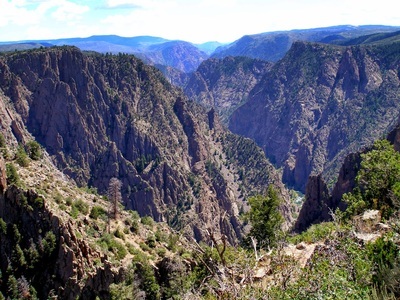 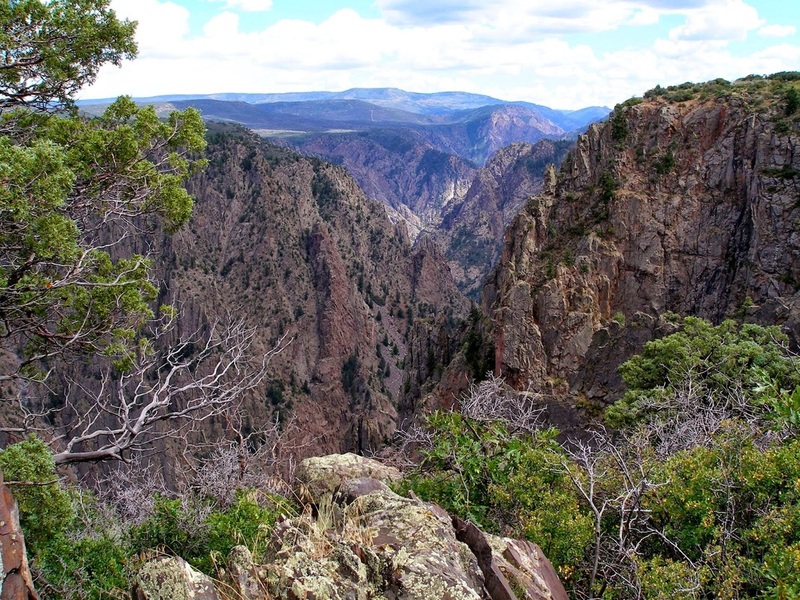 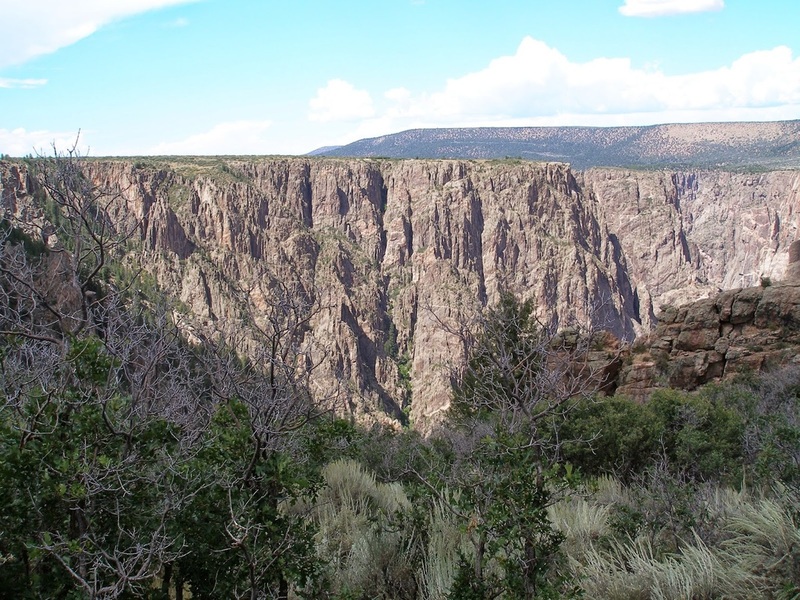 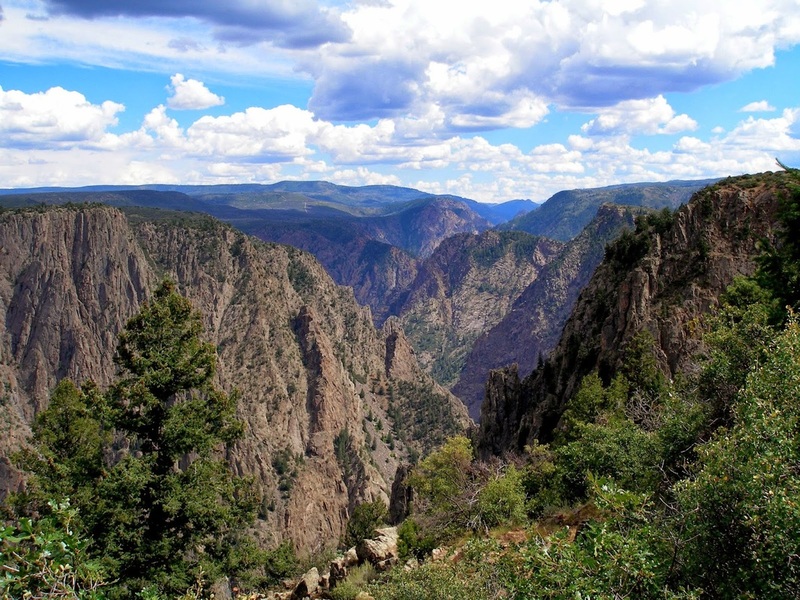 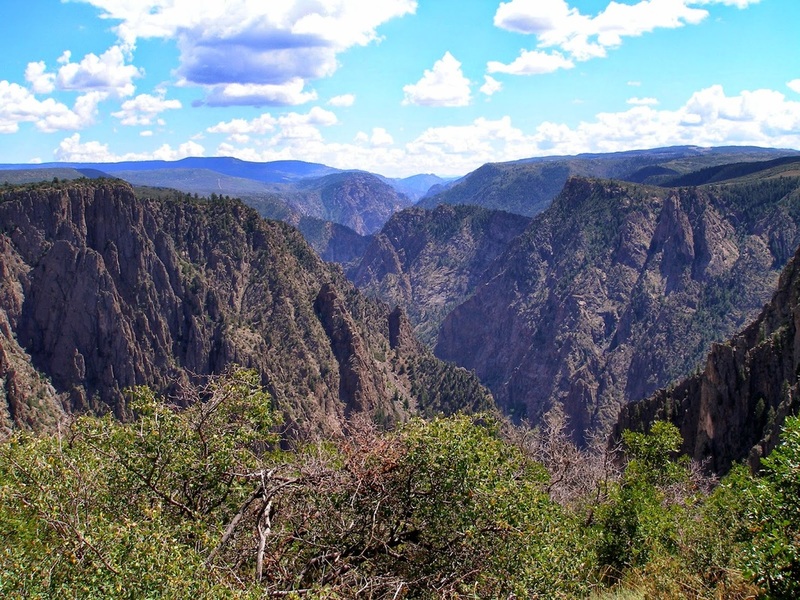 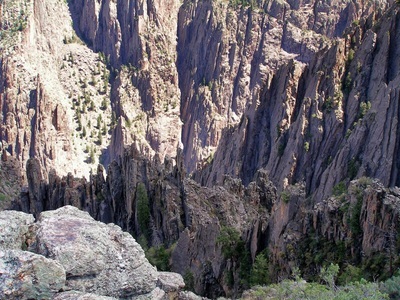 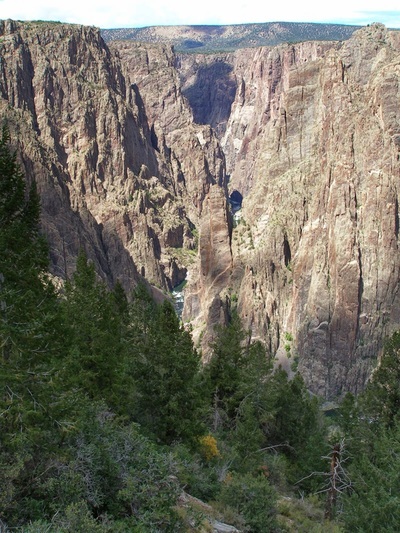 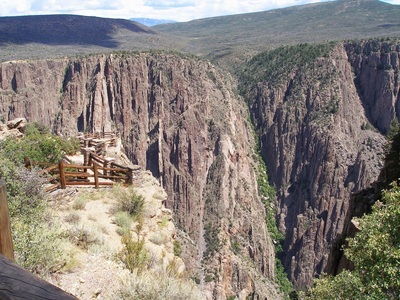 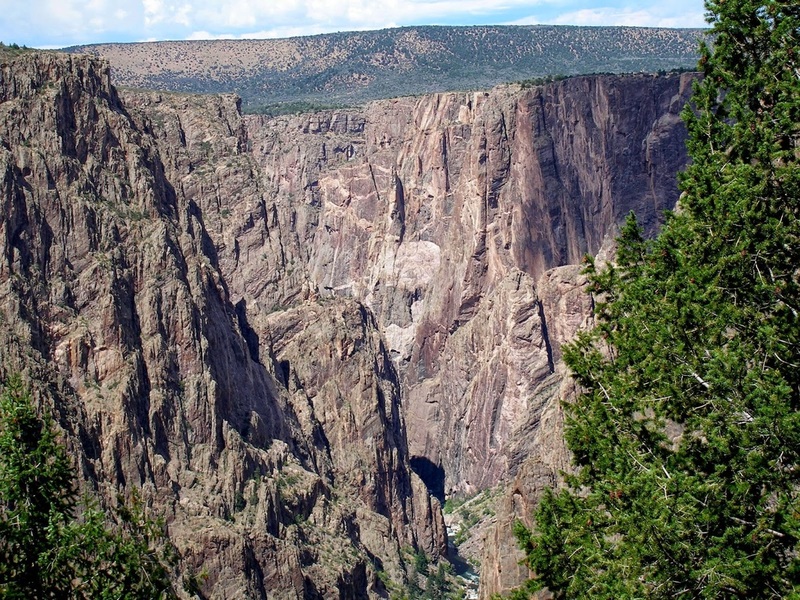 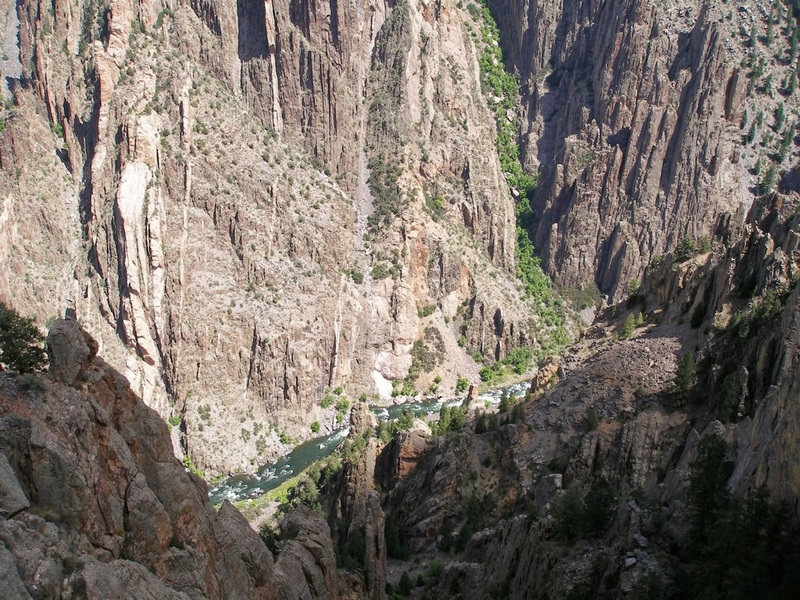 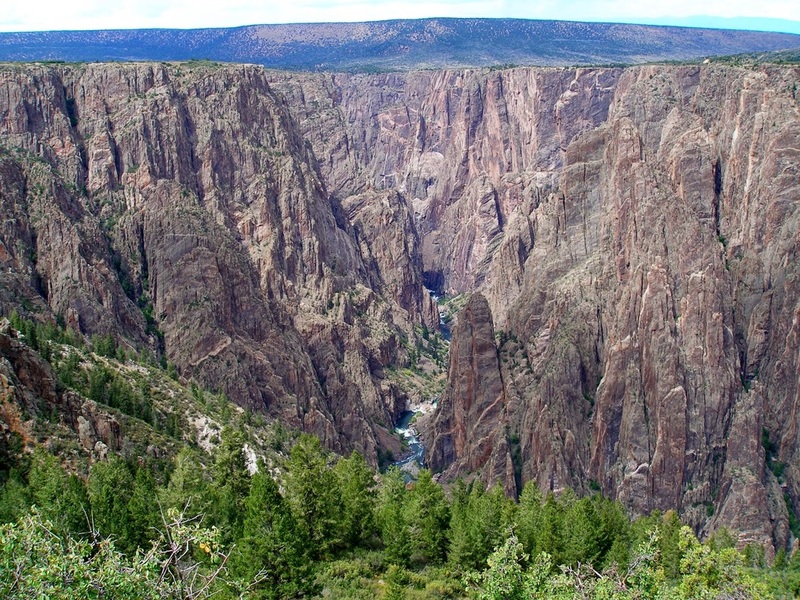 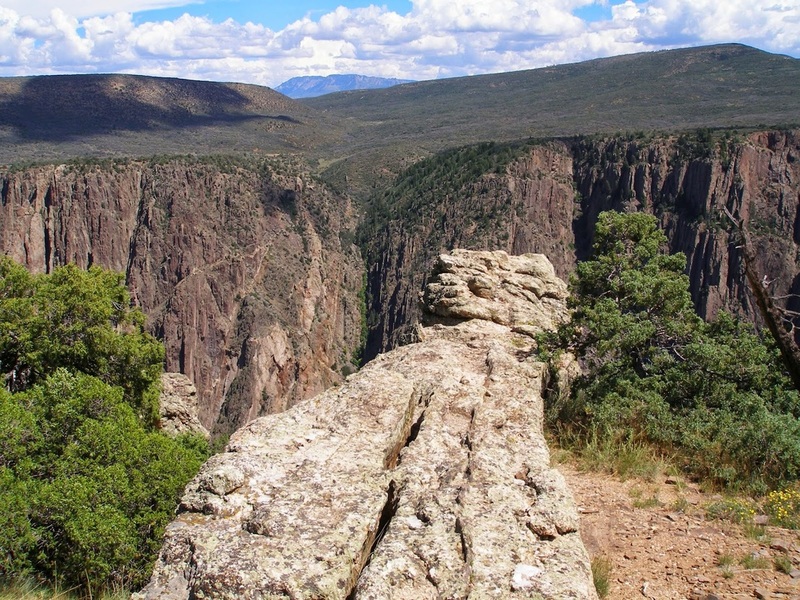 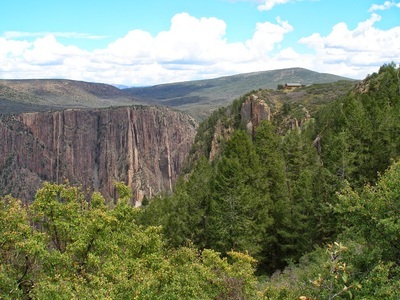 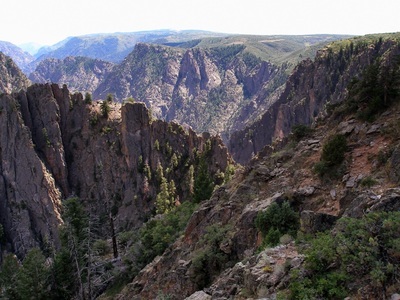 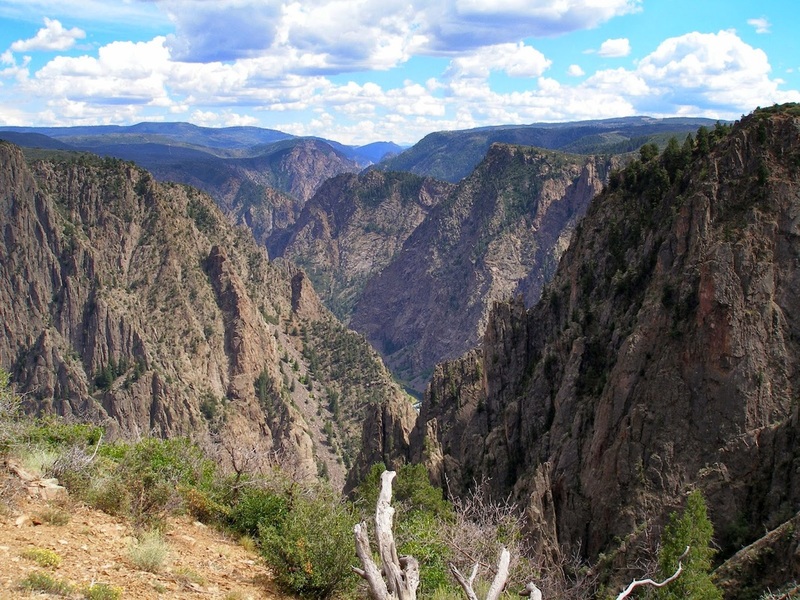 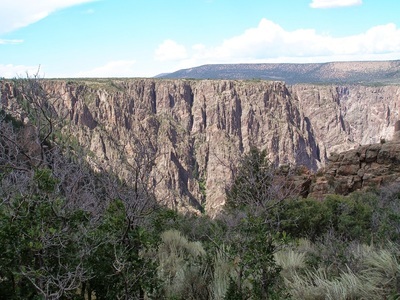 Directions: The South Rim of Black Canyon of the Gunnison National Park is located north of Hwy 50 in between Gunnison and Montrose. 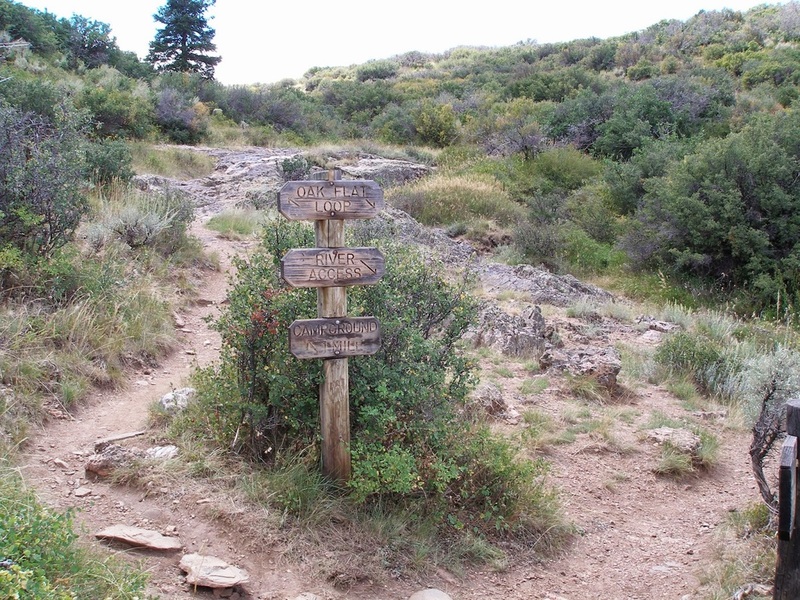 From either direction, turn north on 347 at the sign for the park. 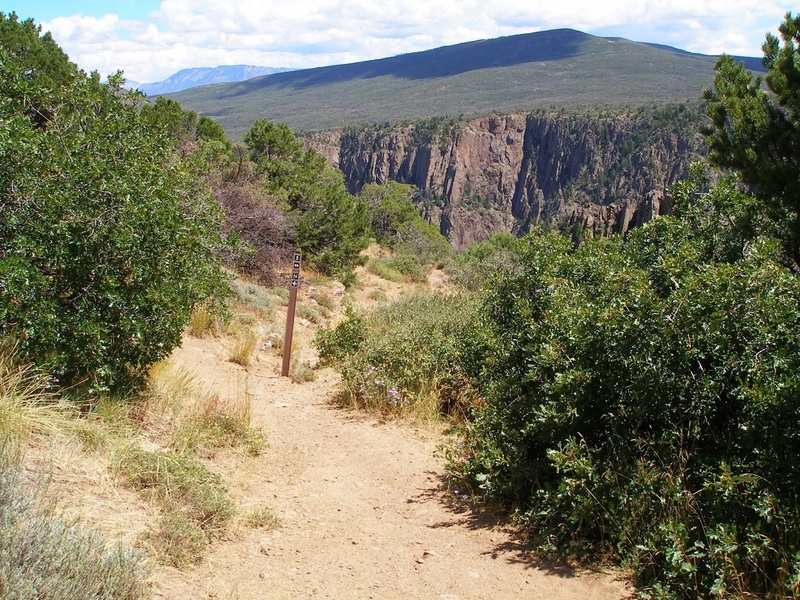 The Rim Rock trail follows the South Rim from the campground to the Visitor Center. 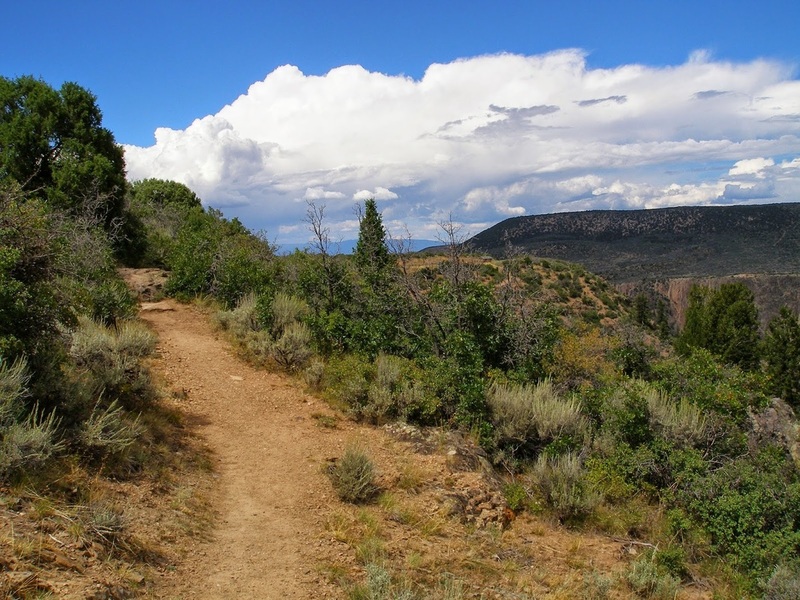 The trail is easy but has amazing views east over the canyon towards Curecanti National Recreation Area. 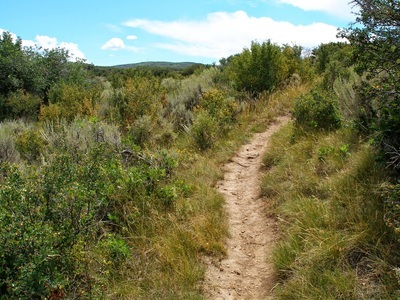 There is a trail head and parking area along the main road and this makes for a great place to start the loop. 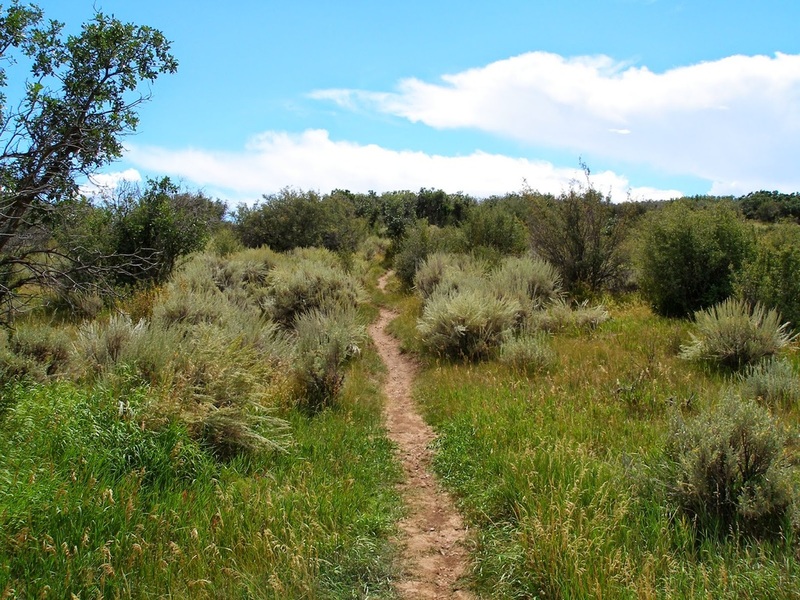 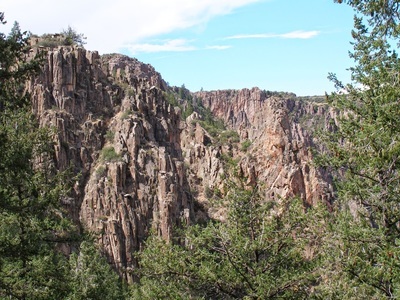 Once you reach the Visitor Center keep your eyes out for the Oak Flat Trail. 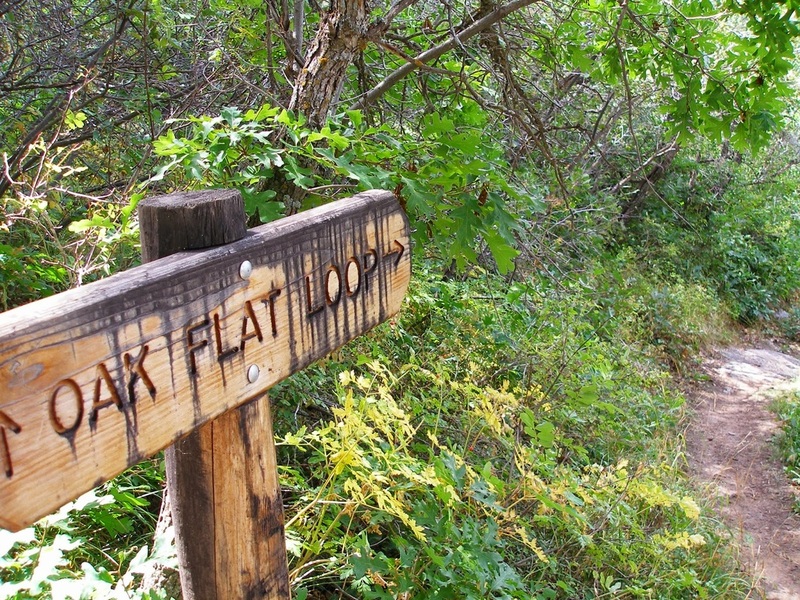 The Oak Flat Trail is the main event and makes for a great 2 mi hike itself. 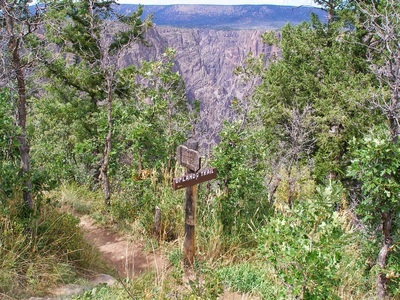 From the Visitor Center follow the signs pointing to Oak Flat Loop/River Access. 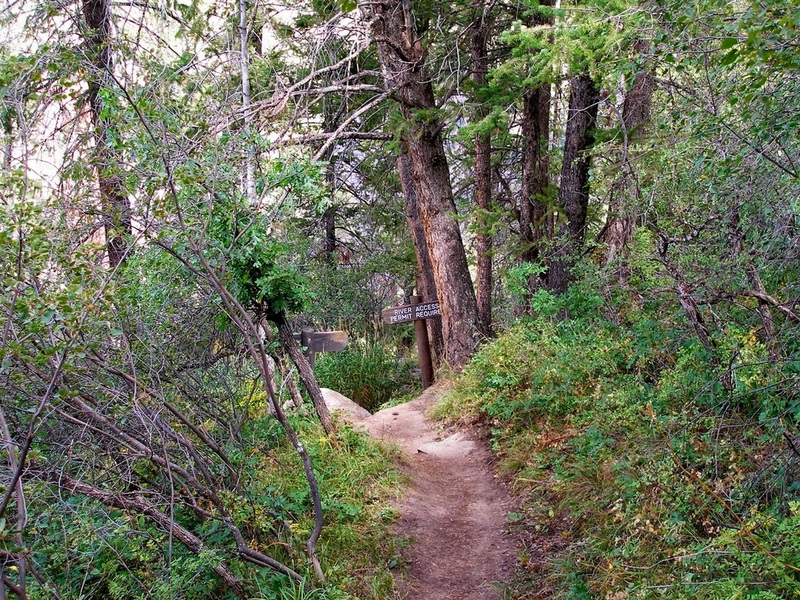 The trail descends down the canyon through oak and evergreen forest there are numerous viewpoints of the canyon through the trees. When you reach the River Access sign...stop... 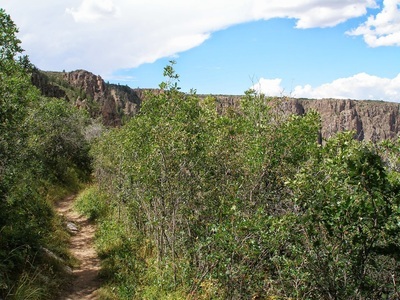 This is one of the backcountry routes down to the bottom of the canyon, it is very very very steep, make sure you do your homework before attempting these routes. After you've completed the loop and are heading back towards the Visitor Center, you'll see signs for the Uplands Trail. This trail will take you back to the flatlands, across the brush through gamble oaks and other vegetation and back to the parking area and your car. 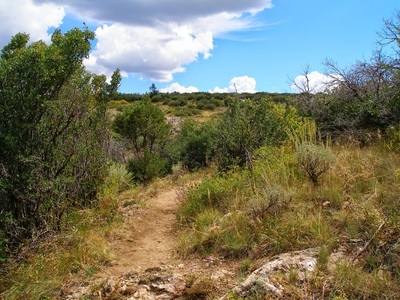 There are not many views here, but the wide open spaces makes for a peaceful return trip. This is the main trail system on the South Rim and aside from the Warner Nature Trail is the only hiking available. For more hikes, try the North Rim, it's more remote and lacks the facilities but there are more opportunities for hiking and wilderness.